The Federal Government is providing flu vaccines free to people over the age of 65. 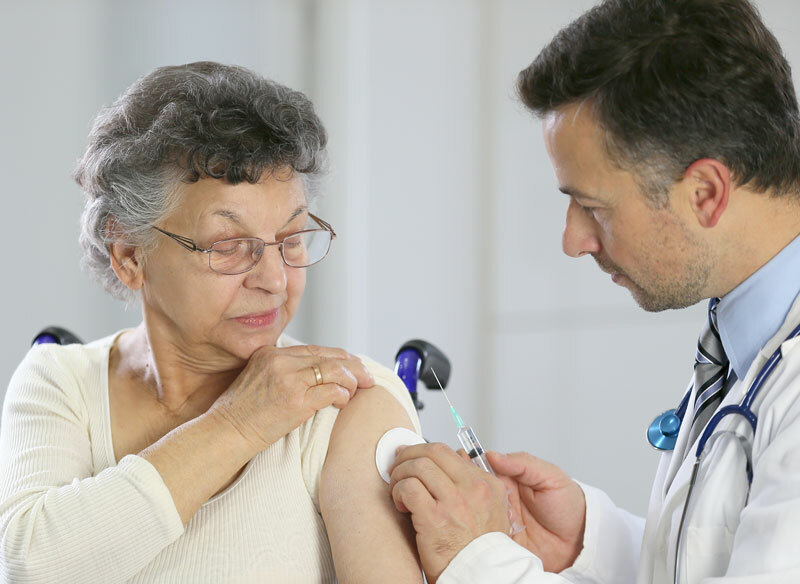 The advice from government is that the three-strain Fluad and Fluzone High Dose vaccinations are the best way for people aged over 65 to reduce the risk of getting the flu. Being vaccinated gives you protection against the flu by building immunity to the virus and preventing transmission of the virus to other people. Vaccination is required annually as immunity from the vaccine decreases over time and the vaccine can change each year to cover the current virus strains. Vaccination usually takes up to two weeks to be effective. The flu season occurs annually in the southern and central areas of Queensland between May and October, with a peak in August and September. The vaccine does not contain live flu viruses and can not cause flu. However, some people may experience mild flu-like symptoms for up to 48 hours as their immune system responds to the vaccine. Serious reactions are rare. While some people may experience mild side effects such as pain, swelling and redness at the injection site, these usually resolve quickly. Enquire if a flu vaccination will benefit you at your doctor, medical centre or pharmacy.